If you know Nick Cappa, you know he’s crazy about trucks—all trucks! However, he is especially wild about Ram’s Power Wagon. It’s fair to say he is not simply an aficionado, but a true guru. I joined him on a recent test drive that illuminated the newly updated 2019 Ram Power Wagon 2500 to try out the Heavy-Duty truck’s slow-speed prowess and high-speed comfort, maneuverability and muscle. But first, some of the history and Fast Facts on the newest version of this big pickup. Ram hit it out of the park last year, with the remake of its stable of 1500 full-sized pickups. 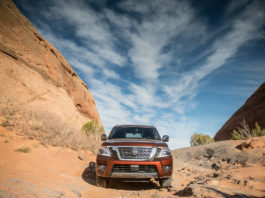 It filled its Detroit trophy case with dozens of awards, including the 2019 North American Truck of the Year, the Auto Judge Truck or the Year and the Texas Auto Writers’ Truck of Texas award. 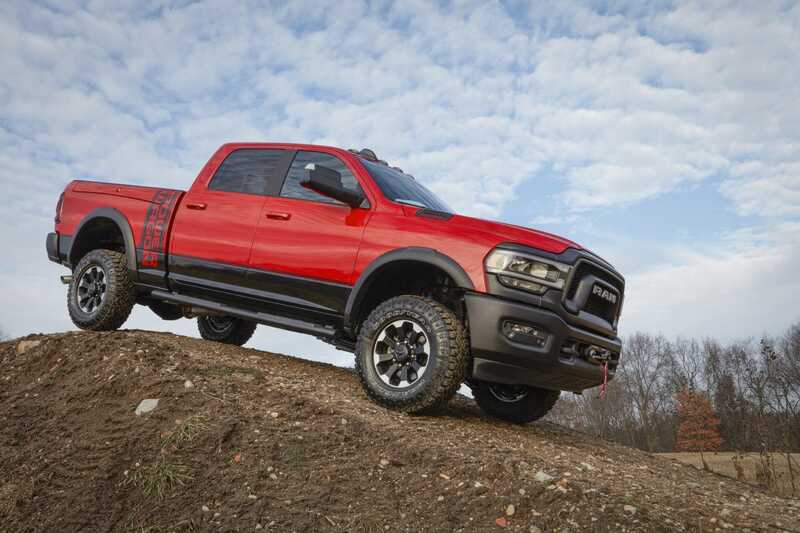 Among the favored models was the uber-capable 2019 Ram 1500 Power Wagon. 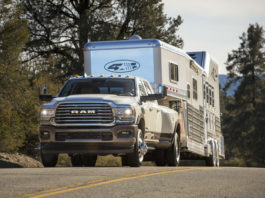 The truck maker is back now with the update of its Heavy-Duty lineup of 2500 and 3500 offerings – the 2019 Ram 2500 Power Wagon adds star power to the roster. It’s clearly another home run. The toughened pickup has an iconic heritage that dates back to 1945 when “Ram” was “Dodge” and hard work with trucks and overland travel wasn’t a past-time–it was a necessity- lives depended on it. This can still be the case today. You might say this big wagon has been designed to run with the bulls—it’s big, sinewy, and despite its size, it runs with alacrity. If you’re bullish on backcountry camping or true overlanding, we would say it’s worth taking a closer look, as we did recently. 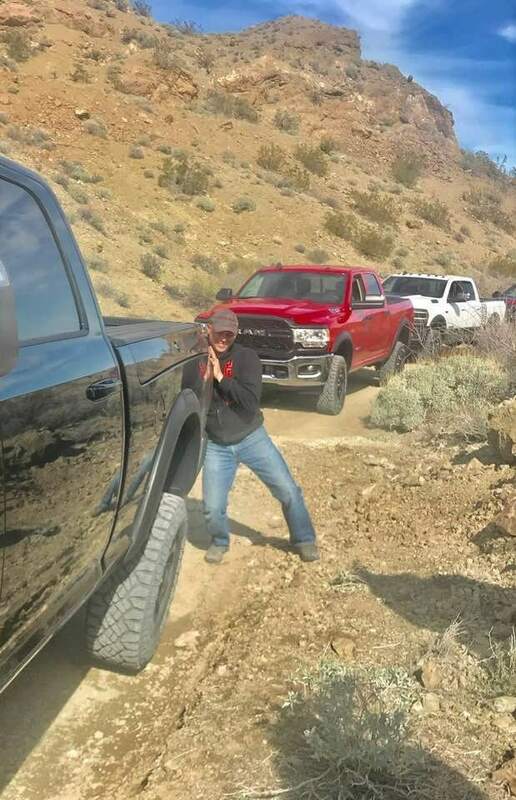 We joined the Ram truck team for a ride and drive of its HD models that had an unlikely beginning on the bustling streets of Las Vegas. Soon, however, we shed the bright lights for the two lanes and dirt roads that lead to the nearby stunning backcountry, where the Eldorado Canyon Mine is perched above the Colorado River. 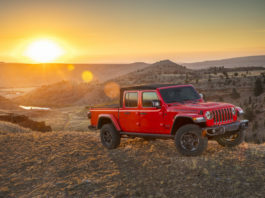 The newest Power Wagon comes as a 2500 4×4 Crew Cab model only, crafted by an engineering team that built it to work and play aggressively and, yet, it’s laden with technology, connectivity and premium touches, as well as its collection of hard-core, off-road features. Ram says its 3/4-ton lineup was redesigned to set benchmarks in ride and handling, materials and innovations. 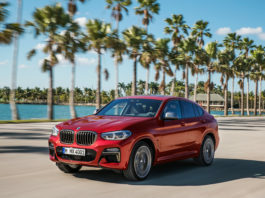 There are 35 all-new and 21 class-exclusive features in the lineup, with more than 100 safety and security features, including class-exclusive active safety systems such as Adaptive Cruise Control, Forward Collision Warning, Automatic Emergency Braking (AEB) and AEB with trailer brakes. Superior hauling and towing capability are the basic go-tos in this segment of the market; aids that add skill are auto leveling rear air suspension for ease of loading cargo, trailer hook up and leveling for towing; Surround View Camera w/Reverse Guidance for productively and safely working in tight spaces; a Cargo Bay Camera to monitor load or aid in aligning 5th wheel/gooseneck trailer hookups; a Cargo Bay 115V/400W power outlet and LED Lighting; and added Backup Sensors covering the added width of dual rear wheels. Of note, the Side Mirror Mounted Auxiliary LED Reverse Lamps light the side of the truck to the rear for backing up at night and the mirrors can be swung out to shine the light away from the truck, making good illumination for working at night, as well. Cappa brought the press kit to life as a devotee of the Power Wagon’s cache of hardware. “The biggest selling point for the Power Wagon is that you can take it to the middle of nowhere and be running solo and have the reliability to get back home,” said Cappa. 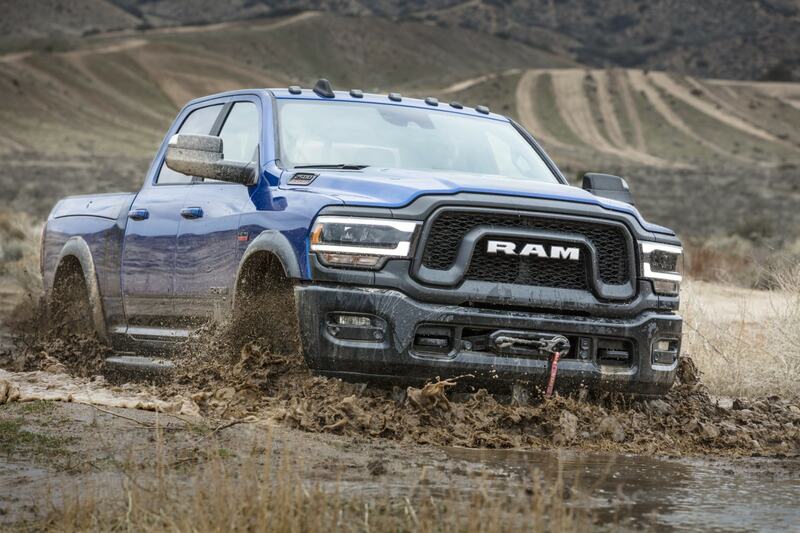 “And, when it comes to the off-road equipment on board, you have all you could ever wish for in its stock package– power, an incredible suspension, lockers, lift, and toughened tires and wheels– all backed by Ram’s factory warranty. If you buy a truck today and equip it with all of that on your own, you’re not only going to spend more money but, most important, you’re going to run into warranty issues,” explained the Power Wagon guru. I noted a number of impressive features during my drive in the backcountry. A unique engine calibration modulates the throttle response for different drive modes. In 4WD “Low,” the response softens and the idle speed increases by 100 rpm (from 650 to 750 rpm) for greater control when ascending and descending off-road obstacles at slow speeds. I also noted the well-weighted steering that comes from the hydraulic steering system with a recirculating ball gear that has been engineered for precise tracking to accommodate everyday driving as well as for towing heavy loads. Also appealing is strong, measured braking and standard hill-descent control that adds peace-of-mind for steep and slick terrain. The Power Wagon is built on a high-strength steel frame for hardiness but sheds weight with its aluminum hood. Off-road-specific enhancements include a unique suspension with more than two inches of lift, front and rear electronic locking differentials and a 12,000-lb. winch with synthetic line. Powered by Ram’s best-in-class 410 horsepower, 6.4-liter HEMI V-8 engine, it gets 429 lb. 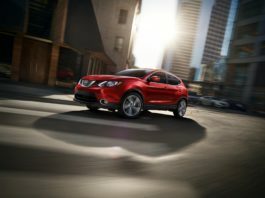 -ft. of torque and runs through its gears with a new eight-speed automatic transmission. It has a part-time, manual-engagement Borg Warner BW 44-47 transfer case and can tow up to up to 10, 350 lbs., with a payload capacity of 1,510 lbs. The newest model carries forward cues from its forebearers and also borrows some looks from the Ram 1500 Rebel; it’s been crafted with an all-new, larger blacked-out grille sporting a prominent Billet Silver “RAM” letter badge that is bookended by Black bezel bi-functional projector headlamps, with LED marker lights. A prominent Black Gloss graphic sits on the vented hood and “Ram” and “POWER WAGON” tattoos leave no wonder its marque. Outside, two-tone black paint and graphics can be optioned in different colors, depending on paint. It rides on 17-inch forged aluminum wheels shod with 33-inch Goodyear Wrangler DuraTrac tires with an aggressive tread pattern to enhance off-road traction. Inspiration for the colors, lighting, wheels, grilles and legacy graphics takes cues from 1979-80 “Macho Power Wagon”. The cabin sports new colors and materials, with leather or Diesel Gray and Black seats and tire tread-matching pattern, with heat if desired. An optional Uconnect 12-inch screen allows configuration and, when using cameras, alternates the view from front to tailgate to truck bed. The 7-inch center cluster uses “Power Wagon” startup graphics, featuring an off-road theme, as does the 12-inch screen. “Deep dish” rubber floor mats help catch mud and debris. 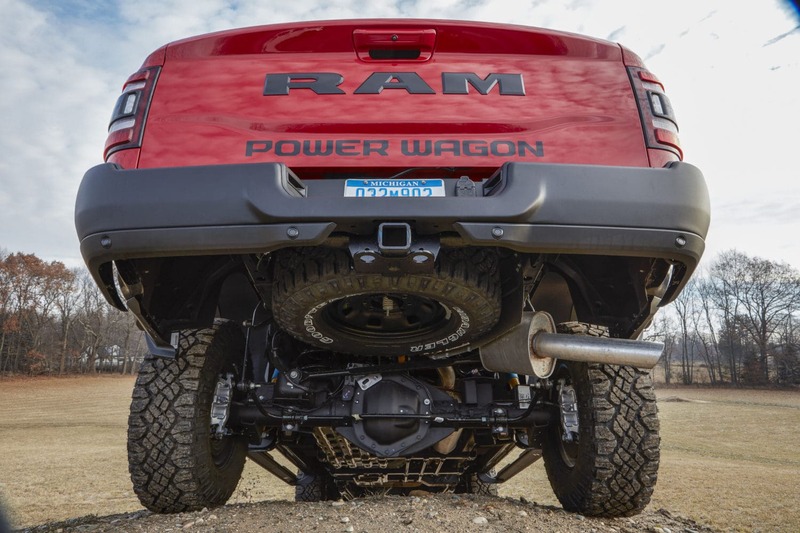 Power Wagon’s lifted suspension has Ram’s “Articulink” set-up in the front that incorporates high movement joints and a sway-bar disconnecting system to bring more flexibility and axle articulation. The rear gets a five-link coil system with Bilstein shocks and modified control arms. Under the belly is 15 inches of ground clearance and skid plate and protection components for the transfer case and fuel tank. 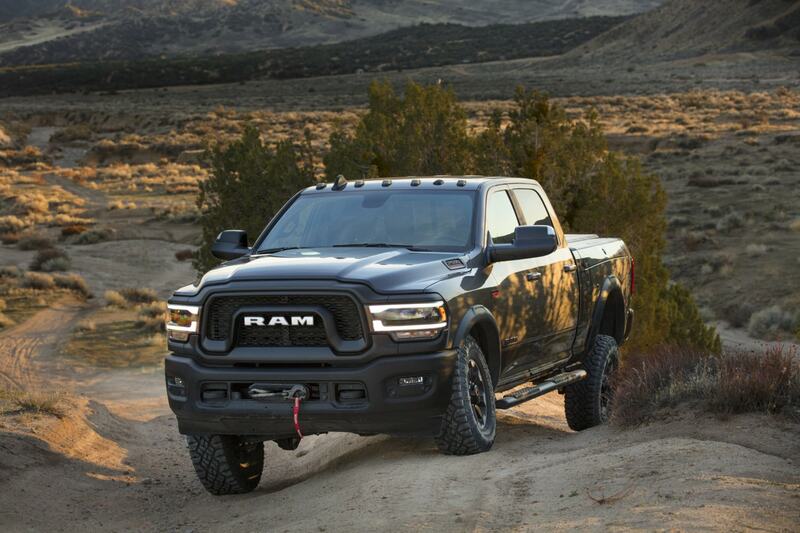 The 2019 Ram 2500 Power Wagon starts at $52,900 (destination and delivery add $1,695). It can be added as a package to the 2019 Ram 2500 Crew Cab 4×4 Tradesman, that adds lockers, winch, lift, tires, shocks, underbody cladding and the sway bar, but not the black bumpers, interior amenities, and exterior paint/ graphics. This equipment package starts at $39, 850 and appeals to park rangers, border patrol agents and oil-field workers. *It complies with SAE’s J207 standards for decreasing radius turns and rapid lane changes. *One-touch, central locking includes the RamBox cargo management system and tailgate power locks. *Available spray-in bedliner, LED bed-lighting, front and rear park-assist system, power-adjustable pedals and remote start. *New 360-degree camera with forward view gridlines that guide in wheel placement and avoiding obstacles. The side views aids in navigating narrow spaces and staying centered on the trail. ** The Power Wagon name dates back to 1945 through 1980. Early trucks were based on the Weapons Carrier (WC) series of Dodge ¾-ton military-use trucks built during World War II. The Power Wagon went on to become a well-known civilian vehicle. The iconic truck was reintroduced in 2005 and now exists as an independent model in the Ram Truck lineup. 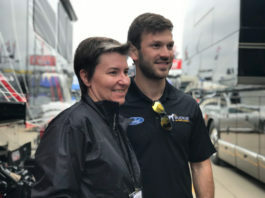 Sue Mead’s automotive career began as a freelance evaluator for Four Wheeler Magazine in 1988, on the first team that included women as testers. Today, she travels the globe test-driving cars and trucks, and working as a photojournalist/feature writer for dozens of publications, specializing in 4WD and adventure. Mead has been an auto editor and 4WD editor for CNN/fn. Her books include Monster Trucks and Tractors; Off Road Racing, Legends and Adventures; and Rock Crawling. She has been to 70 countries; driven enough off-road and 4WD race miles to have circumnavigated the globe twice! Mead won the Open Production class at the 2011 Dakar; and is an inductee into the Off Road Motorsports Hall of Fame.